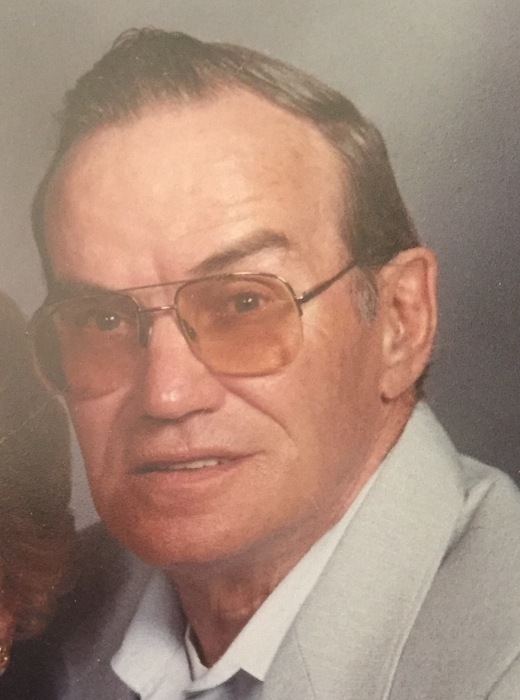 Harold A. Klemme, 83, of the Town of Sheboygan Falls passed away on Thursday evening, May 3, 2018 at Rocky Knoll Health CareCenter surrounded by his loving family. Harold was born on December 14, 1934 in the town of Rhine, a son to the late Edwin and Laura (Wimmler) Klemme. He attended Sheboygan County schools. On June 25, 1960 he was united in marriage to Shirley Erickson and she preceded him in death on August 27, 2007. Harold had been employed with the J.L. French Company and prior to his full retirement at the age of 80 had worked part time at Zimbal’s Mink Ranch. He served with the National Guard from 1951 until 1953. He enjoyed camping and fishing with his family and grandchildren. He had a passion for old westerns. In his younger years he raced cars. Harold was a member of the Plymouth Snow Rangers and the J.L. French Quarter Century Club. Harold is survived by his five children, Brent Klemme of Sheboygan Falls, Kara “Susie” Thackray of Sheboygan Falls, Eric (Donna) Klemme of Elkhart Lake, Jerrod Klemme of Sheboygan Falls and Janelle (Mike) Fitzgerald of Sheboygan Falls; eight grandchildren, Lauren and Cody Klemme, Ayrton, Aryanna and Aryka Klemme, Alex and Damon Fitzgerald and Brittny Thackray; a brother, Franklin Klemme of Plymouth; two sisters, Gloria Kleinhans of Plymouth and Luella Gau of Tennessee. In addition to his parents he was preceded in death by a son-in-law, Jeffrey Thackray: brothers, Milton and Harris Klemme; his sisters, Catherine Meives and Roma Theel; sister-in-law, Virginia Klemme; brother-in-law, Arnold Kleinhans and other family members. A memorial service for Harold will be held 5 PM, Sunday, May 6 at Wittkopp Funeral and Cremation Service with Rev. Mark Janzen of St. Paul Lutheran Church officiating. Burial of his cremated remains will take place in Woodlawn Cemetery, Plymouth. Family and friends may gather at Wittkopp Funeral and Cremation Service, 123 South Street, Plymouth on Sunday from 3 PM until the time of service at 5 PM. Harold’s family would like to extend a grateful thank you and sincere appreciation to the staff of the ER, ICU and 4th Floor at St. Nicholas Hospital, the staff of Sharon S. Richardson Community Hospice and the staff of Rocky Knoll Health Care Center for their care and compassion.